Today, there is an increased demand for featherweight sewing machines. The demand is from collectors, enthusiasts, and, workers. All of them want a featherweight sewing machine that is aesthetically pleasing, affordable and can get the job done efficiently. However, this will only happen if a few important things are considered before buying a featherweight sewing machine. The first thing to consider is how to buy the sewing machine. There are two options available: online retailers and brick-and-mortar stores. Some people prefer buying from brick-and-mortar stores as this allows them to get up close and personal with the sewing machine they intend to buy. On the other hand, buying the sewing machine online is a convenient way of making the purchase. Another important thing to ensure is that the sewing machine is in excellent, working condition. Nobody wants to take home a machine that looks good but works in a stop-start manner. In other words, it does not work as marketed. The best way to ensure that the qualities of a sewing machine being marketed are genuine is by checking the machine’s rating on Amazon and the online reviews about it. Here, we will review the best featherweight sewing machines to help buyers choose the sewing machine most suitable for them. Before we do that, we want to provide information on the benefits of featherweight machines and the three ways of buying them. These machines are highly admired and sought-after. There are several reasons for this. The first of them is the splendid design and construction of the machine. Having less weight than their conventional counterparts, featherweight machines are easy to transport and store. Additionally, they come with a full set of sewing accessories. Despite being a lightweight machine, the featherweight is extremely powerful. It can do everything that you expect from a full-size or heavy duty sewing machine. The best thing about this is that the featherweight machine provides power in a silent and seamless manner. People who have never used a featherweight sewing machine would be shocked by how silent and smooth it is. In addition to the above, the featherweight machine has a piercing power that is second to none. The piercing power of the machine is the reason it is used to sew jeans and silk chiffon. Sewing these materials requires incredible precision that is provided by these machines. The only disadvantage of this sewing machine that we can think of is its limited harp space. This is the space towards the right of the sewing needle. The limited harp space makes the featherweight machine unfit for challenging projects like upholstery. Nonetheless, there are countless benefits of the featherweight sewing machine which makes it a great sewing machine to buy. There are three ways to buy this machine: dealer, online, and privately. These ways are detailed next. The most expensive way to buy a featherweight sewing machine is through a dealer. However, the benefit of this is convenience and guarantee of a top-quality machine. Another benefit of buying the machine through a dealer is that dealers are knowledgeable people. They know all the ins and outs of various sewing machine models and have access to the best machines out there. 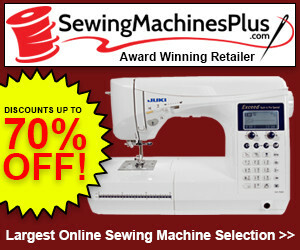 Dealers will typically select only the best available sewing machines. Also, since they have a reputation to maintain, the dealers will ensure that the machines come with the guarantee of after-sales service. Additionally, they will ensure that the machines are safe and tested for efficiency before selling them. The dealers will also provide an honest review of the machines and will highlight any imperfections that they may have. This ensures that buyers get no unwelcome surprises after they have bought the featherweight sewing machine. Lastly, dealers will ensure that the sewing machine reaches the buyer’s location safely and quickly. Another way of buying the featherweight machine is through online marketplaces such as Amazon. Buyers will find a variety of these machines for sale on Amazon and other online marketplaces. While buying the machine online is a convenient way of making the purchase, buyers need to be wary of the fact that the machine can turn out completely different from what is shown online. A major problem with buying featherweight machines online that many sellers exaggerate the features and qualities of their machines. However, buyers don’t find this out until after they have bought the machine and have it with them at their home/ workplace. Sellers might misrepresent the fact to increase the value of their machines. They may not be as efficient as advertised or they may not have all the accessories listed online. Unfortunately, buyers will know this only when they have received the machine. While a refund is available in cases where buyers don’t get what they expected, the amount will generally be lower than what was paid for the machine. Additionally, buyers will have to bear the expense of returning the machine. This often makes it impractical for buyers to pursue a refund claim. However, many of these problems can be overcome by buying from a trusted marketplace like Amazon. 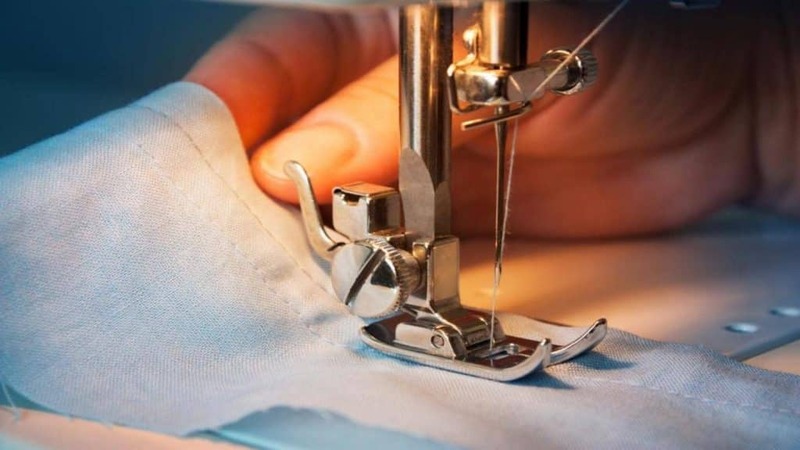 The third and final way of buying a featherweight sewing machine is from a second-hand seller. This means buying the sewing machine from individuals who bought the machine for projects and no longer require them. Generally, this would mean buying a used or second-hand machine. However, the benefit is that the cost of the machine would be lower than that of a similar machine that is available online or with a dealer. Used or second-hand featherweight machine does not necessarily mean a machine in poor, working condition. Buying from a trusted seller would ensure access to a machine that looks good and works well. The best thing about it is that the machine will be affordable for people who can’t buy a new one. With the benefits of a featherweight sewing machine and the three ways to buy the machine discussed, it is time to move onto the most important discussion — the review of the best featherweight sewing machines out there. Following are our top 5 picks for the best featherweight sewing machines available today. With an almost five-star rating on Amazon, the Juki HZL-F600 is one of the standout featherweight sewing machines available today. The most prominent feature of this computerized sewing and quilting machine is its Box Feed Technology. This technology allows the machine to sew and quilt both thick and lightweight material. Other noticeable features of the machine include a wide sewing space and an extended sewing table. However, that’s not all. 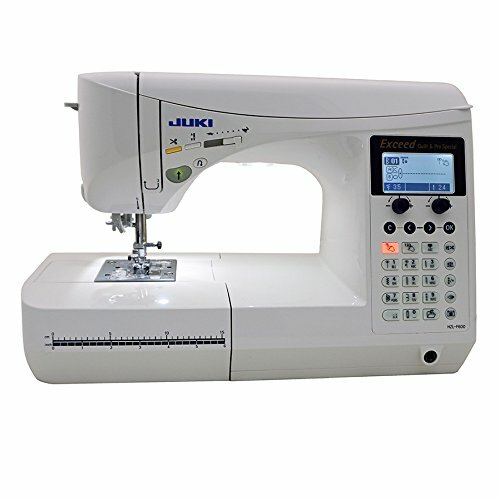 The Juki HZL-F600 also boasts free motion sewing and several patterns for the sewing machine to follow. Featuring an IEF system, this machine from Singer is a hand sewing machine. 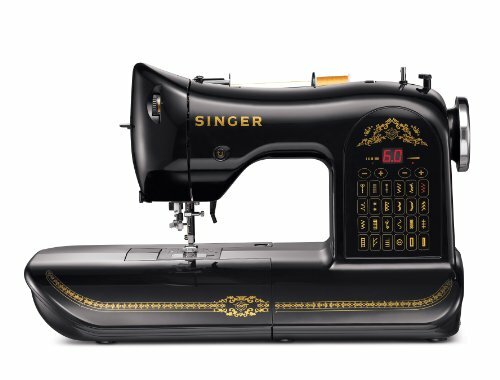 A featherweight machine from Singer, the Singer Featherweight C240 features more than seventy built-in stitches. The Singer Featherweight C240 machine can be used for sewing fabrics of all types and thickness. Additionally, the machine prevents the fabric from shifting. This stops the fabric from slipping off while it is being sewed. 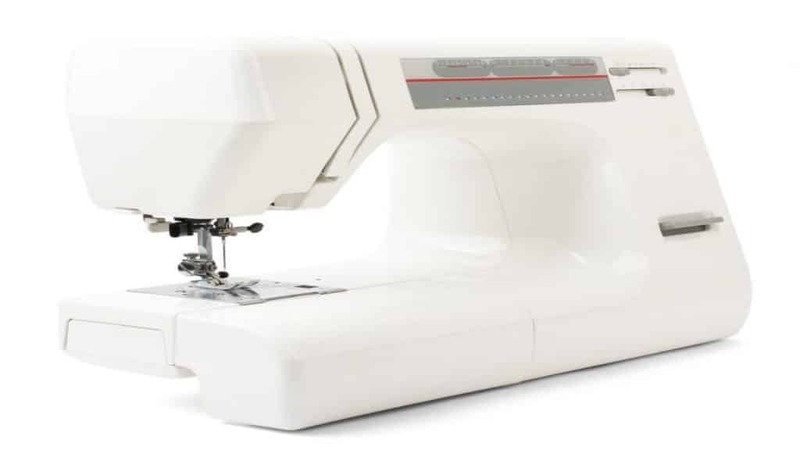 From basic stitches to decorative designs, the Singer Featherweight C240 machine allows users to sew all sorts of stitches and apply various buttonholes. The machine has 20 needle positions and two LED light sources. Additionally, depending on the type of fabric being used, different thread tensions are offered by the C240 machine. That’s not all! The sewing machine features a needle with a programmable feature that allows the users to move the needle up and down. There is also a free-motion sewing feature which makes it breeze to sew all kinds of fabric. However, warranty in the U.S and Canada is only for the 110-volt version of the sewing machine. SINGER 160 Anniversary Limited Edition Computerized Sewing Machine Price: "Fantastic machine! Sews true!" 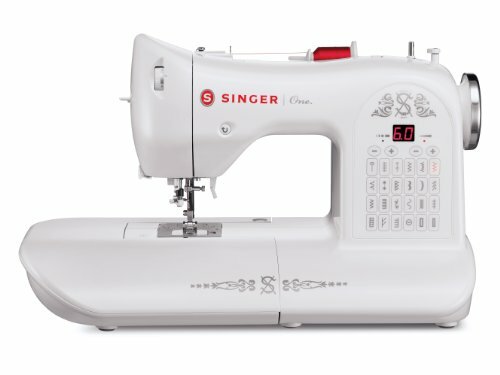 A computerized sewing machine, the Singer 160 is a tribute to the classic Singer sewing machine on its 160th anniversary. One of the most prominent features of this sewing machine is its quick view stitch setting. This feature of the machine enables optimal stitching for any type of stitching project. Another noticeable quality of the Singer 160 Anniversary Limited Edition is its simple stitch adjustment. With this feature, users can keep the seams steady to avoid additional movement while the fabric is being stitched. An attractive sewing machine, the Singer 160 has a OneTouch stitch selection feature which allows users to personalize just about any fabric. It also features free-motion quilting and twenty-four built-in stitches. A lot of time is saved with SwiftSmart threading system of the Singer 160 Anniversary Limited Edition. The system saves time by providing an automatic needle threader. The machine is available and warranted for use in the U.S and Canada only. 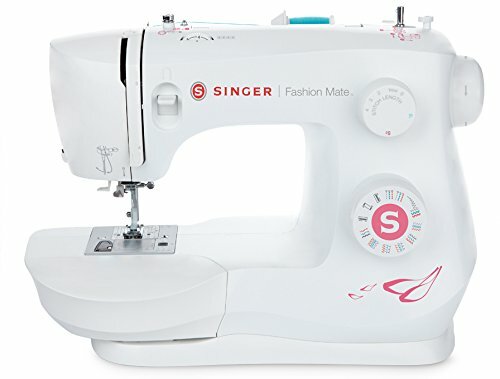 As the name suggests, the Singer Fashion Mate is a free-arm sewing machine. The machine features twenty-three built-in stitches. However, the features of the Fashion Mate sewing machine do not end here. The machine also features a built-in four-step buttonhole and automatic needle threader. The job of the latter is to make it easier than ever to thread the machine. This feature allows the machine to be threaded within seconds. Additionally, it ends frustration and eye strain for users. Most importantly, the machine can sew at 1500 stitches per minute. Do the benefits of this sewing machine end here? Not at all! The Singer Fashion Mate 3333 also boasts a heavy-duty metal frame which adds stability to the machine and provides it with long-lasting durability. To add to this, the sewing machine comes equipped with a variety of sewing accessories. These include a pack of needles, a zipper foot, a button sewing foot, a thread spool cap, a seam ripper, and a darning plate. Lastly, the free-arm feature of the machine ensures easy access to places that are difficult to reach with a traditional sewing machine. SINGER | ONE Vintage-Style Computerized Sewing Machine Price: "I use mine mostly for sewing linen and lightweight wool, but my friend says it handles thicker fabric beautifully." A sewing machine reminiscent of the classic Singer machine, the Singer One Vintage Style is a computerized sewing machine that features twenty-four built-in stitches. This allows users to complete a variety of sewing projects with skill and ease. In addition to the built-in stitches, the Singer One Vintage Style Computerized features an automatic needle threader. This feature eliminates the eye strain and frustration for users that are associated with threading the machine or needle. The high presser foot is another key feature of this machine. The foot can be shifted upwards for ease of use. This makes it a lot easier than before to complete sewing projects. Another noticeable feature of the Singer One Vintage Style sewing machine is the automatic reverse. This feature of the sewing machine allows users to start sewing in reverse with the machine by simply pushing a button. Any stitching can be undone with this feature of the Singer One machine. The sewing machine also comes equipped with a range of accessories. The accessories include, but are not limited to, needles, needle plate screwdriver, one-step buttonhole foot, zipper foot, seam ripper, and blind hem foot. The above-mentioned featherweight sewing machines are some of the best available today. We hope that our review of these machines will help you to buy the most suitable featherweight sewing machine for your needs. Carefully read through the reviews to check for features so that you make an informed decision about the featherweight sewing machine to buy.